The Colts released Michael on Monday, Field Yates of ESPN reports. Analysis: Michael somewhat surprisingly made the Colts' 53-man roster out of training camp, though he didn't have much of a role on offense once the season kicked off. 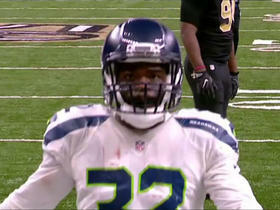 He was active on Sunday versus the Eagles, but the veteran running back didn't see the field. The 27-year-old has 256 carries for 1,089 yards in his career and will look to join another team in need of backfield depth. Michael (illness) was a full participant in Friday's practice and will play in Sunday's game against the Eagles. Analysis: Michael sat out Thursday's practice with an illness, but it appears it was a minor bug. With Marlon Mack (foot/hamstring) ruled out for Sunday's game, Michael will operate as the No. 3 running back. Michael has an illness and did not practice Thursday. Analysis: Michael was not listed on the injury report Wednesday, so the illness is a new issue. The 27-year-old was a healthy inactive Week 2 and remains the No. 4 running back on the depth chart. Michael is inactive for Sunday's game at Washington. Analysis: With Marlon Mack returning after missing Week 1 with a hamstring injury, Michael may be stuck on the bench most of the season. Jordan Wilkins and Nyheim Hines will figure into the RB mix along with Mack, leaving little room for Michael. Michael had two carries for nine yards in Sunday's loss to Cincinnati. He played just three snaps on offense. Analysis: Jordan Wilkins (46 snaps) and Nyheim Hines (37 snaps) got the bulk of work in the Indy backfield. Michael looks like a veteran insurance policy at this point and his role will decrease further when Marlon Mack returns from a hamstring injury. Michael has made Indianapolis' 53-man roster. Analysis: If Marlon Mack remains out with a hamstring injury, Michael could have a sizeable role in Week 1. It's not clear how the carries will be divided among Michael, Nyheim Hines and Jordan Wilkins if Mack is out along with Robert Turbin, who is serving a four-game suspension. Michael (concussion) was cleared to return to Thursday's preseason contest at Cincinnati, Andrew Walker of the Colts' official site reports. Analysis: Initially ruled out with a concussion, Michael was in fact under evaluation for a head injury and didn't exhibit any symptoms. His night may be over, though, if the Colts' medical staff opts for caution. During the lengthy absence of Marlon Mack (hamstring), Michael was impressing in both practices and games, seemingly locking down a 53-man roster spot in the process. Roster cuts on Saturday ultimately will determine if Michael has found a home. Michael has been ruled out of Thursday's preseason game in Cincinnati due to a concussion, Mike Chappell of Fox 59 News Indianapolis reports. Analysis: Michael had taken advantage of injuries in front of him on the Colts' depth chart, namely to Marlon Mack (hamstring). The momentum continued Thursday, when Michael racked up five carries for 41 yards before his departure. Michael likely has done enough to secure a spot on the 53-man roster along with Jordan Wilkins and Nyheim Hines, but a concussion leaves his next appearance in question. Michael had eight carries for nine yards, including a one-yard touchdown, and one reception for three yards in Saturday's preseason win over San Francisco. Analysis: While his stats were not great, Michael got time with the first-team offense and rookies Nyheim Hines and Jordan Wilkins were not overly impressive. It's time to acknowledge the possibility that Michael could figure into the RB mix early in the season if Marlon Mack remains sidelined with a hamstring injury. Michael carried the ball seven times for 21 yards and hauled in one pass for three yards in Monday's preseason game against the Ravens. Analysis: With the Colts dealing with numerous injuries in the backfield, Michael got to see plenty of work Monday night, but he wasn't too effective. With his long carry going for nine yards, he rushed for a total of just 12 yards on his other six. While Michael has been plenty of snaps to open up the preseason, he still may have an uphill climb if he wants to make the Colts' final roster. Michael had three carries for 12 yards and one reception for three yards in Thursday's preseason win at Seattle. Analysis: Michael was the third running back in the game and got playing time ahead of rookies Nyheim Hines and Jordan Wilkins. That could indicate he has more of a chance to win a reserve running back role than first thought, but the coaching staff may have just deferred playing time to veterans in the first preseason game. He's more likely battling for a final reserve running back role with Josh Ferguson. 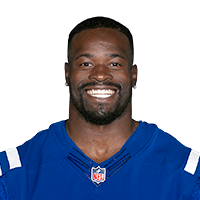 Michael signed a contract extension with the Colts on Wednesday, Andrew Walker of the team's official site reports. Green Bay Packers running back Christine Michael stiff arms defender, and caps off a 42-yard touchdown. 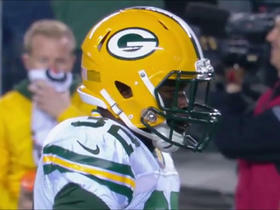 Green Bay Packers running back Christine Michael’s first carry as a Packer goes for 4 yards. 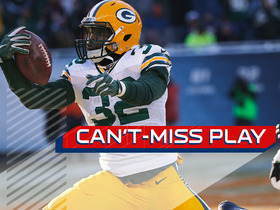 NFL Insider Ian Rapoport explains that the Green Bay Packers want to ease new running back Christine Michael into the playbook starting this week. 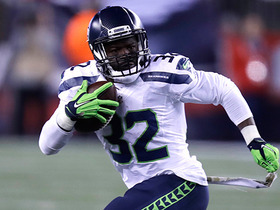 NFL Network Insider Ian Rapoport reports that the Green Bay Packers have signed running back Christine Michael after he was waived by the Seattle Seahawks. 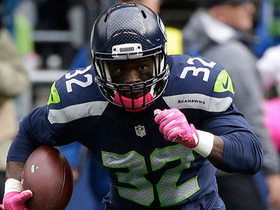 NFL Media's Mike Garafolo reports that the Seattle Seahawks have waived Christine Michael. 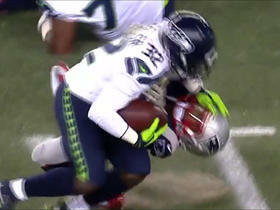 Seattle Seahawks running back Christine Michael stiff arms a defender on a short run of 1 yard. 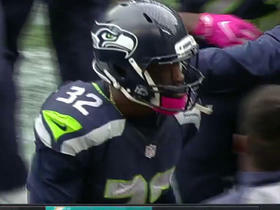 Seattle Seahawks running back Christine Michael bounces outside for the 3-yard TD run. 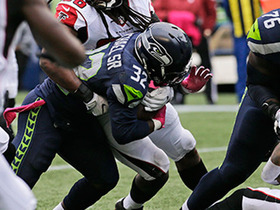 Seattle Seahawks running back Christine Michael scrambles behind the line for no gain. 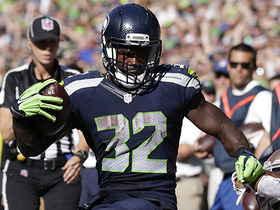 Seattle Seahawks running back Christine Michael runs in a 1-yard touchdown. 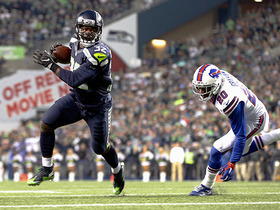 Seattle Seahawks running back Christine Michael runs in a 9-yard touchdown.